Buying and keeping up-to-date with Apple’s expansive electronics range can be an expensive affair. With a new variation of the iPad, iPhone and iMac/MacBook dropping annually, many have to keep a more than a little change aside for the next big launch. Ever since being founded by Jobs and Woz, Apple has always sold premium products at premium prices. The only current way to get something for cheap is to purchase on Black Friday, wait for the product to be superseded by the next iteration, or, simply, become a student. With such a high price bracket, though, many Joe Public types are finding themselves priced out of the market – unable to afford the monetary hike that comes with the iconic, bitten-apple logo. This is none more prevalent than in the tablet industry – a market forged by Apple in early 2010 with the release of the first iPad. "more than 40 percent of iPad owners have a household income of $100 thousand or more compared to 26 percent of non-iPad owners." Of course, with the tablet market still in relative infancy, there’s only a fairly limited range of products available to consumers. As more and more vendors delve into this lucrative, fast-growing area of consumer electronics, these demographics are likely change. 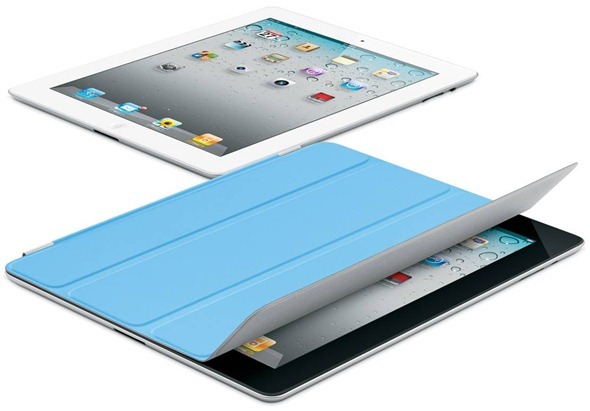 Nevertheless, iPad seems to be generally of higher cost than competitors (mainly of the Android variety), and with the Cupertino’s ‘high-price for high-quality’ motif being a staple part of the company’s policy, the iPad – and indeed all of its other products – are unlikely to fall in price. Interestingly, the report also shows tablets are now becoming the devices of choice for tasks previously carried out on other gadgets and gizmos. E-mail, web browsing, gaming, social networking and online shopping are just a few areas showing signs of shifting towards tablets. Indeed, as an avid mobile-device gamer, I’d have to agree that titles are more captivating when played on the larger screen, although it’s not always practical – particularly when commuting. Even though tablets are accepted as computers – after all, they provide most of the same functions – only a tenth of tablet owners have ditched the notion of owning a PC notebook. Furthermore, with Ultrabooks now following in the footsteps of Apple’s own MacBook Air in going feature-rich and paper-thin, we’re unlikely to see tablets replacing the fold-out design any time soon. The iPad 3 is expected to be announced in the next couple of weeks, and to those of you younger, not-so-wealthy folks – I hope you’ve been saving up those pennies!